Update (3/26/19): Ember and Frost Prime have returned to the vault along with the Prime weapons listed below. Ember and Frost Prime make a return in the latest Prime Vault opening! Along with them is a few classic Prime weapons: Latron Prime, Reaper Prime, Sicarus Prime and Glaive Prime. 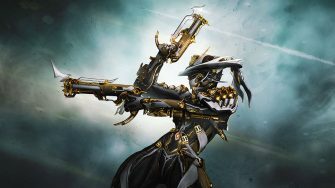 The Glaive and Sicarus Prime sets sold in the 150 Platinum region prior to unvaulting so it is highly recommended you farm these weapons in addition to Ember and Frost due to their high value. 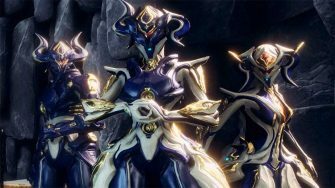 Frost is an excellent Warframe for protecting objectives and is one of our favorite Warframes for doing Kuva Survival missions with. 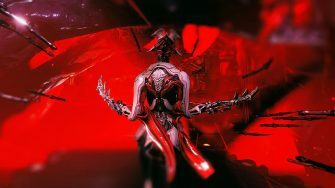 Ember is unfortunately a relatively underwhelming Warframe in a lot of content due to poor ability scaling, but is one of the fastest frames for clearing low level exterminate missions. The table below is setup to help you identify which relics you should farm for each component blueprint and the best locations to farm those relics. Unlike Prime Access, Prime Vaults have 4 relics to keep track of making life significantly easier. 1 Only selects methods we consider best based on relics per hour statistics. 2 Chance is adjusted to reflect the accumulated % chance of obtaining a Relic if multiple rotations have it on drop table. 3 Time per run is based on our trial runs. It’s possible to go faster or slower depending on your loadout and skill. 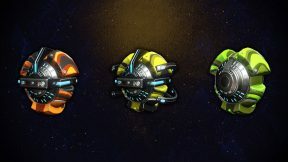 4 Relics per hour accounts for time per run and chance of Relic to calculate the rate at which relics can be obtained. Tier 1 (Hepit) and Tier 3 (Ukko) Void Capture missions are by far the best methods of farming Lith, Meso and Neo relics. You can complete them in under 2 minutes consistently and farm over 30 relics an hour. 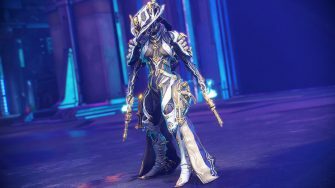 You can also consider Exterminate if you have a solid build for Equinox / Saryn that can run through the map quickly, but it is less consistent than Capture. For the Axi E1 relic, we recommend doing Cetus Bounties since this is the fastest method of obtaining them in bulk. 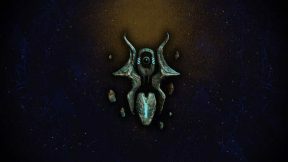 Unlike Prime Access Axi relics, the traditional options such as Xini on Eris or Hieracon on Pluto don’t provide Prime Vault Axi relics. This leaves grinding for these relics relatively slow, but with a high speed Itzal and Volt setup you can easily clear Cetus bounties in less time than the 15 minute estimate provided above, increasing the amount of relics you can obtain per hour. We hope this quick guide and tables helped you with farming Ember and Frost Prime. Since the Prime Vault is only around for a limited time, it’s highly encouraged that you spend the time to grind for a few of these relics and pick these items up while they’re available. For reference, Frost Prime traded for close to 300 Platinum prior to Prime Vault announcement and is now trading around 180p. You can both save and make quite a bit of Platinum by spending the extra time farming now – Good luck with those relics! All depends on RNG really. Have yet to get a single Meso F2 or Neo N5 on Ukko. Lost count of how many times I’ve run that Capture now. Bounties just seem a little better to get’em. Getting a relic for each bounty run. This leaves out many sources. I’ve been having good luck in Mot (Survival), and Aten (mobile defense). As a general guide this is helpful but overlooks the fact that every void mission will drop a relic of some sort (guaranteed), and the Ember-Frost relics are dropping there on every mission with decent frequency. 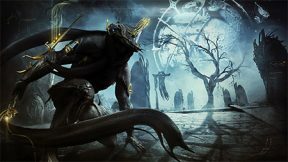 Do not forget that the relic packs from the syndicates will also have a chance for Ember Frost relics in case you just don’t have the time to farm the relics. These relics can be acquired by Onkko from his bounties. Much quicker and easier this way if you ask me. Saves time on grinding immensely. I have over 550 hours in Warframe yet I have never farmed for any set relics and have only just started and I never knew how fun it would be as you start finding shortcuts and ways to reduce the amount of time in missions. I just have no idea how long it will take to farm all of the relics though. This is most likely based on stats and you getting those is just rng. Youll atleast get 1 an hour but how many you get depends on rng. Ive run an hour worth of bounties and only got 1 relic for my troubles. Atleast with void capture you get a relic most of the time if not always weather its the one you want or not. Much more efficuent for plat farming than bounties. bounties are inconsistent and probably the worst ways to farm the relics, try again bud. You clearly don’t know the drop table since the stats listed on here wrong. 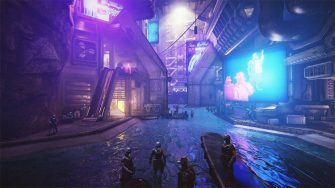 For the 5th bounty ther’s a chance to get a relic on stage 2, 3, 4 and 5 the drop chances vary from 25.68% to 38% but that is PER stage. You have a 130% chance to get an axi relic per run. Sometimes you’ll get 1 relic in 3 runs and sometimes you’ll get 4 relics in 1 run. Chance is always inconsistent that goes for both bounties and normal missions. I believe you have mistaken how percentages work as well; simpling adding them together would mean that they appear in the same drop table. You have to consider the chance of failure in order to find the total percentage of separate drop tables. Otherwise, you fall into the false impression that flipping two coins provides a 100% chance of heads. The average chance to receive three relics in one run is 3.52%. Finally, the chance to receive 4 consecutive relics in one run is 1.08%. Thanks for the quick, easy to breakdown guide.